Welcome and thank you for starting your journey with us at Stamped.io! In just a few steps we can assist you in creating your very own UGCs. 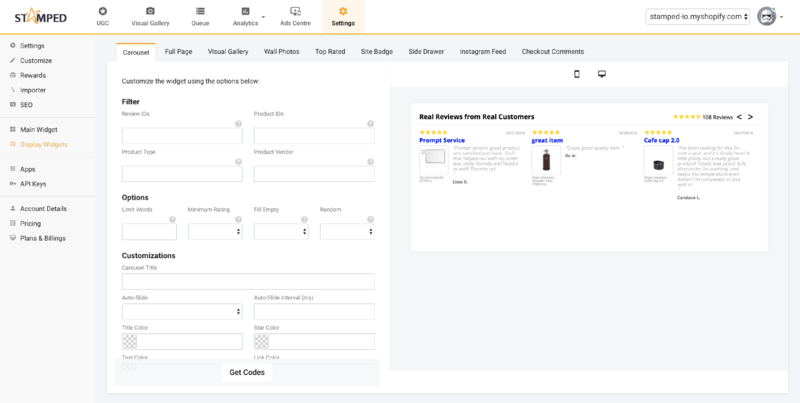 Check that our widget has been installed in your product pages. If you have existing reviews in other platforms please export them as a CSV file and import it via our Importer tab in our Dashboard. Firstly, paste your store's logo image URL in the box shown, which will be reflected in your review email template. You can upload an image of your store logo in Shopify admin. Fill up the rest of the details as required. 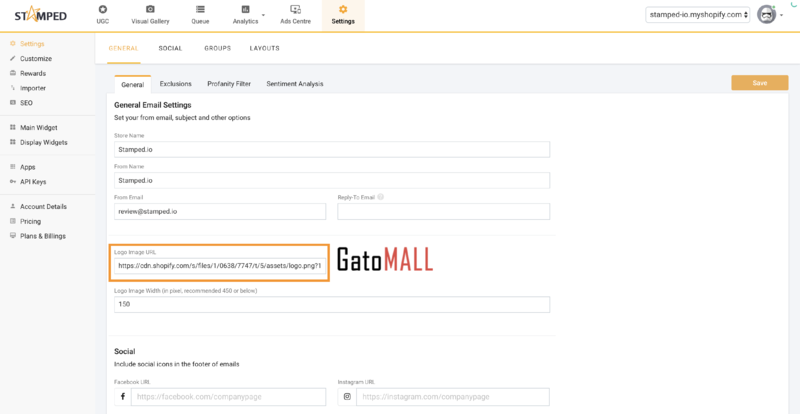 This is where you can modify our basic review email template in ways to fit it to your store's branding. Feel free to explore the various options available! Everything is set and good to go! You should see review emails generated in the queue for subsequent orders received. Our widgets allow you to easily customize the appearance of your user generated content on your website. For example in a tab on the side of the page or a carousel of your best reviews in your site's cart page to encourage a checkout. 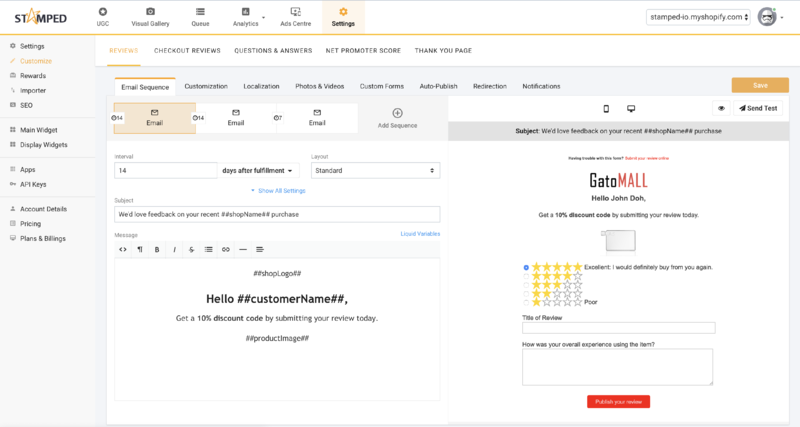 With a little bit of code (or a little bit of help from your developers), it's easy to display your reviews in various parts of your store using widgets. Each widget has a custom snippet that you place into where you would like it to be displayed on your website.